These premium shells cost approximately 40% more than similar loads of more modestly priced ammo so we wanted to see what you get for your money with Black Gold from Gamebore who make impressive claims in their marketing material in respect of high velocities, superior technology and quality. Gamebore’s website uses the term ‘Diamond Shot’ to describe the pellets in Black Gold and they certainly look shiny, quite different to normal lead shot however the variation in pellet size is no better or worse than much cheaper ammo and we were surprised to discover damaged projectiles in most of the cartridges we opened. Some pieces were half or less of the original sphere with completely flat sides and other overweight pellets were rugby ball shaped rather that spherical. These shot quality control issues would be of particular concern in matches with no-shoot clays where flyers outside the pattern make for penalty score risks. We found all of these objects inside a single 30g/6 cartridge which was a surprise as we have not noted similar numbers of defective pellets in any of the much cheaper cartridges we have previously chronographed. 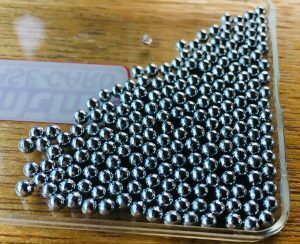 All the Black Gold loads we opened during the test contained between 2 and 6 pieces like this except for the plastic wad 28g/7.5 which had more consistent pellets. In summary – can we reccommend spending the extra cash on this premium branded ammo? The marketing claims for Black Gold include very high velocities and superior components, like ‘Diamond Shot’ however our tests did not reflect these claims. 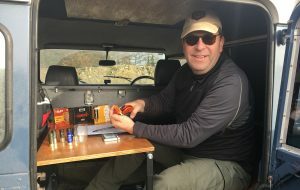 The ammo we tested didn’t perform even close to the manufacturer’s claimed velocity figures and the variation from cartridge to cartridge within some loads was on the higher end of what we normally see in any ammo. 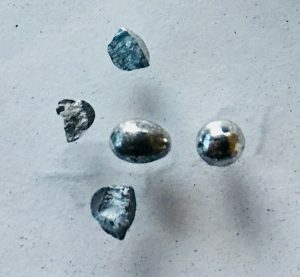 The ‘Diamond Shot’ contained an unusually high number of misshapen pellets and was no more or less consistent in pellet weight than any other ammo we have tested. In conclusion then, clever marketing and fancy packaging but an average speed cartridge with below average pellet shape consistency and no noticeable performance difference for 40% more cost. No extra bang for your buck. Which is disappointing because we really wanted to be announcing a great performance advantage available to the serious competitor, but in respect of that, we’re still looking! If you have any suggestions for exceptionally high performance ammo we would love to hear about it and will be happy to do tests for an article. 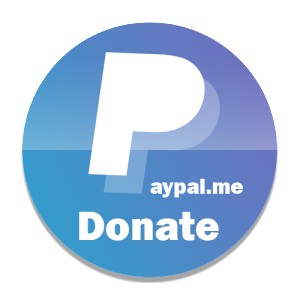 Finally if anyone from Gamebore wants to add a comment we will gladly publish it here.